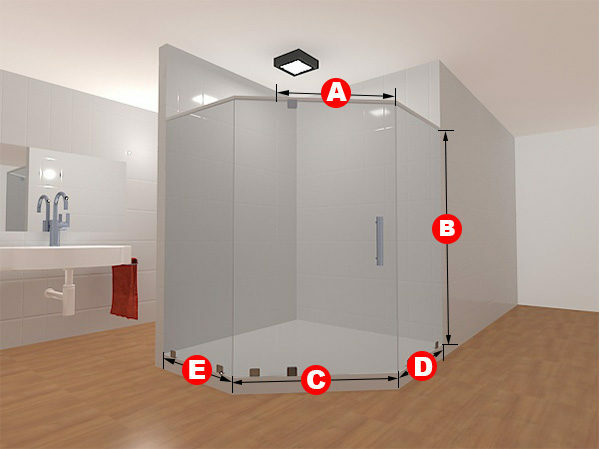 This triple-panel-setup fits partial wall shower entrances perfectly! 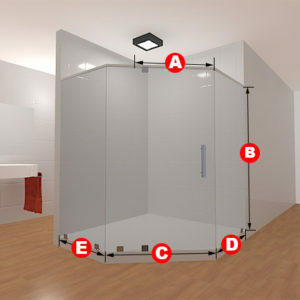 Featuring an inward/outward turning glass door panel, this frameless shower door set is simply amazing. 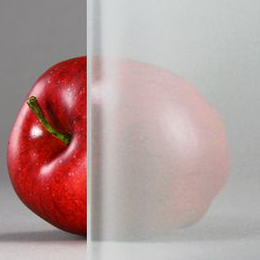 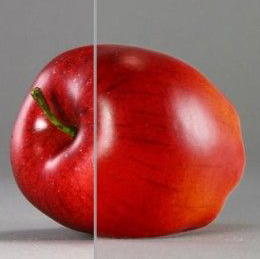 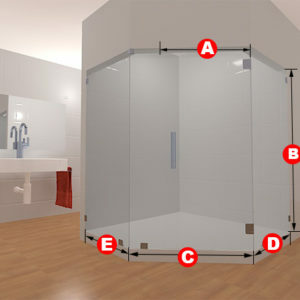 The glass is of high quality and can be made to be either clear or frosted. 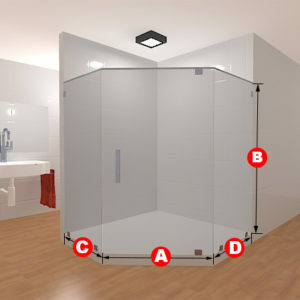 The specific dimensions that you request will determine how large the shower door set is. 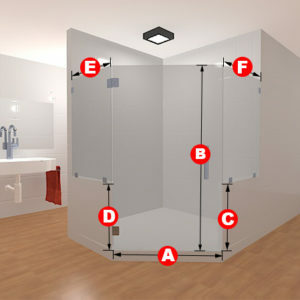 Included in this package are three glass panels, one glass to glass hinge, one glass to wall hinge, and six glass to wall clamps and a handle.